Out White Collar Crimes defense practice is rooted in attorney Paul Saputo’s experience representing and advising corporate clients in transactions totaling billions of dollars. The Saputo Law Firm has the resources and experience to defend even the most complex white-collar criminal prosecutions in both federal and state courts. Who investigates fraud and other white-collar crimes? What are the Texas theft crimes? As part of our White Collar Crimes practice, our criminal defense lawyers work with top-notch experts in a variety of forensic fields. Our approach blends expertise in computer forensics, digital tracing, complex accounting analysis, Big Data investigations, and traditional investigative techniques. Paul and his coworker ashley were amazing in my case. I’ve dealt with multiple lawyers from HIGHLY paid down to court appointed. And I’ve never had the communication and preparation I did with Saputo Law Firm. I literally felt like they were right by my side the whole way. Prior to the court date and even after the court date they made sure I knew what was going on and what I needed to do. Paul is very strong in the court room I absolutely recommend him if you want someone to work for you and get results. With all of our resources and experience, we do not lose sight of the big picture. The best criminal defense strategy requires an understanding of human nature and the ability to express complex sets of facts to a jury. 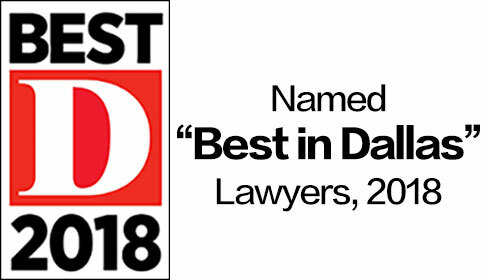 No matter what your defense requires, the firm has the depth of experience necessary to defend you against charges by the state of Texas or the federal government. Are you being accused of a White Collar Crime? 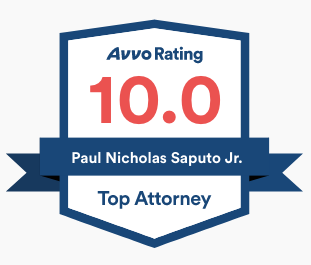 Call criminal defense lawyer Paul Saputo at (888) 239-9305. Many different federal and state agencies investigate fraud and other white collar crimes. Some of the law enforcement agencies that you will see frequently in Texas are: The Texas Attorney General, County District Attorney’s Offices, the U.S. Attorney, the FBI (Federal Bureau of Investigation), the SEC (Securities and Exchange Commission), and the United States Secret Service. White-Collar crimes are generally financial crimes that involve theft, lies or some form of misappropriation. White-collar crimes are sometimes investigated by agencies that have narrow investigative missions, due to the complex nature of some white collar criminal laws and the complex nature of the investigations. Both federal and state authorities investigate white-collar crimes, and the criminal offenses include both state and federal criminal statutes. Some common white-collar crimes are described briefly below. Bank Fraud is a type of criminal fraud defined in the United States Code Section 1344 (18 U.S. Code § 1344) as a federal criminal offense. Bank Fraud requires the federal government to prove that you knowingly executed, or attempted to execute, a scheme or artifice— (1) to defraud a financial institution; or (2) to obtain any of the moneys, funds, credits, assets, securities, or other property owned by, or under the custody or control of, a financial institution, by means of false or fraudulent pretenses, representations, or promises. Although this is a very broad definition that has the potential to criminalize may different acts, it is historically used to criminalize attempts to obtain money from bank depositors by fraudulently posing as a bank or other financial institution. Blackmail is a federal criminal offense codified under 18 U.S. Code § 873. The statute makes it a federal criminal offense to demand or receive any money or other valuable thing, under a threat of informing, or as a consideration for not informing, against any violation of any law of the United States. The offense of blackmail prevents people from a form of “privately” enforcing laws. The law is set up such that you cannot attempt to get money from someone by threatening to inform police of their violations of law. “Cellular phone fraud” is a criminal offense that requires the government to prove that you engaged in “the unauthorized use, tampering or manipulation of a cellular phone or service.” Cell Phone Fraud – FCC Guide | SAPUTO Law. The Wireless Telephone Protection Act of 1998 expanded prior federal law to encompass a broad range of activity. Stolen phones, situations where you might be accused of signing up for service under false identification or where the you are accused of cloning a valid electronic serial number (ESN) by using an ESN reader might all result in a prosecution and conviction for cell phone fraud. Computer fraud is another broadly-described form of fraud, and it is defined as a federal criminal offense in 18 U.S. Code § 1030. The statute is very long, but it is important to note that the statute gives express authority to both the FBI and the Secret Service to investigate computer fraud offenses under federal law. Counterfeiting & forgery offenses are given an entire chapter of federal criminal statutes. See 18 U.S. Code Chapter 25. Counterfeiting is a crime that is essentially the copying or imitation of financial items or the attempt to pass off such false copies as the true thing. In addition to counterfeiting money, you can also be convicted for counterfeiting items such as designer clothing, art, handbags and watches. 15 U.S. Code Section 1644 describes the offense of the federal criminal offense of the fraudulent use of credit cards. Basically, the government can convict you of this if you use someone else’s credit card or otherwise you a credit card or the card network system in a way to fraudulently acquire money. Embezzlement is another broadly-defined federal law, with an entire chapter of federal criminal law statutes dedicated to “Embezzlement and Theft” (Chapter 31). The core description of embezzlement is an appropriation of money or property for a person’s own use by someone who was entrusted with the that money or property by another. It essentially involves a breach of trust. Extortion is another “category” of offense described in the federal criminal statutes. Extortion and Threat offenses are defined under 18 U.S. Code Chapter 41. You can be convicted for an extortion offense under federal law if you obtain property from another person by actual or threatened force, fear, or violence, or under an official (but misused) right. Health care fraud consists of a vast array of offenses. Everything from doctors overbilling for procedures to an unlicensed health care provider providing services under the guise of being licensed to theft of medical information. Insider trading is frequently investigated by the SEC, and it involves a situation when a person who is in a position of trust or confidence with respect to corporate information uses that information to inform equities trades or other trades of other financial positions related to that company or companies related to the confidential information. Investment fraud usually involves false promises or false information distributed by someone seeking investment to potential investors. Investment fraud can be prosecuted by both state and federal agencies like the SEC or its state securities enforcement counterparts. Larceny and Theft crimes can be prosecuted by both state and federal authorities, although it is more common to see Texas prosecute larceny and theft than federal prosecutors. Larceny and theft generally require the government to prove a wrongful taking of another person’s money or property with the intent to appropriate, convert or steal the money or property. The Racketeer Influenced and Corrupt Organizations Act (RICO) is codified in 18 U.S. Code Chapter 96. The basic premise of the law makes it illegal to operate of a business that engages in unlawful activity. The definition of unlawful activity is expansive, and this crime is not only widely prosecuted in the federal courts, but also highly technical and complex. Federal tax evasion occurs when anyone lies about the amount of income receive or otherwise attempts to defraud the federal government about the amount of taxes that he or she owes. One important note is that tax evasion requires intent to defraud. The most direct federal criminal offense regarding welfare fraud is 42 U.S. Code § 608a – “Fraud under means-tested welfare and public assistance programs.” If you are accused of attempting to obtain benefits from govern programs like welfare, food stamps or medicaid, then the federal government can prosecute you under this statute.